Observation - Kingfisher ...well, FISHING - UK and Ireland. Description: Though it didn't catch anything. 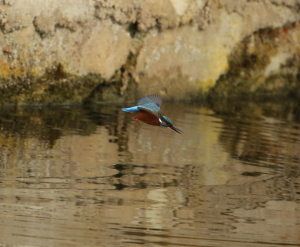 The kingfishers at Rye Meads were very active. My word though, they're quick, and hard to photograph. Though it didn't catch anything. The kingfishers at Rye Meads were very active. My word though, they're quick, and hard to photograph.